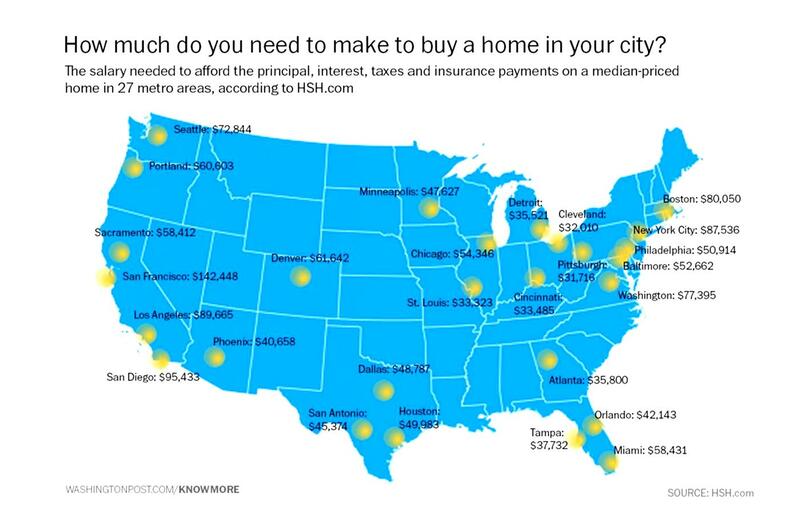 Here below is the rendering of US cities with income averages needed to buy a home. 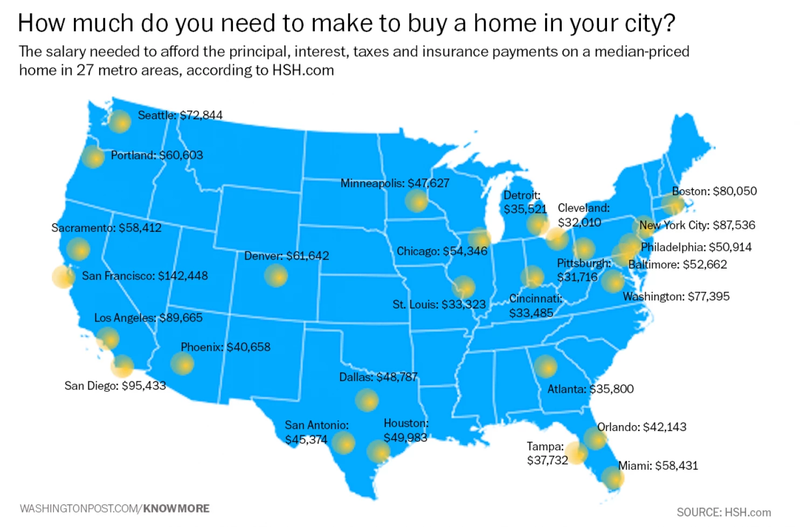 It gives you a clearer understanding where the “affordable” parts of the country are located compared to your city, or MY Fair Emerald Lady – Seattle! The image originated from HSH.com. I mentioned them in yesterday’s post too. Who are they? They tout they are “the nation’s largest publisher of mortgage and consumer loan information.” They’ve tracked mortgage markets for over 30 years. 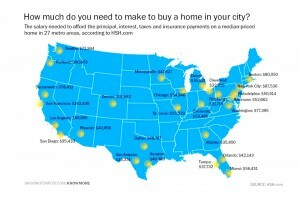 What cities are considered affordable these days? Well, according to The Washington Post that would be: Pittsburgh, Cleveland, St. Louis and Cincinnati. Personally, I think Seattle and her beautiful surrounding burbs are also affordable, considering our cost of living and wages here. Agreed, not everyone can afford a $500-$800,000 residence, but there are still some very cute homes in our area between $200 and $400,0000 range. ← Better to Buy in Seattle or San Francisco?